The Supreme Court will on Tuesday hear the plea filed by Sahara in connection with the return of money to its investors. NEW DELHI: The Supreme Court will on Tuesday hear the plea filed by Sahara in connection with the return of money to its investors. The apex court bench had in its last hearing attached Aamby Valley properties in Lonavala. Now the properties have been kept under the supervision of court. 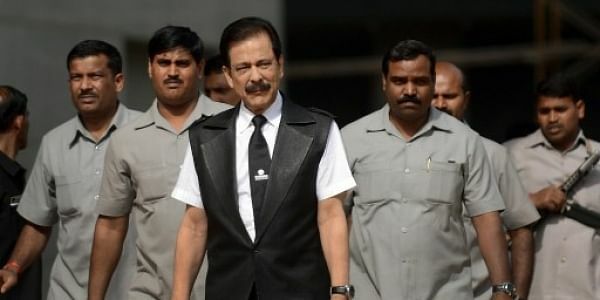 Sahara chief Subrata Roy was sent to Tihar jail on March 4, 2014, for not complying with the apex court's orders in connection with a long dispute with the market regulator, Securities and Exchange Board of India (SEBI). The SEBI alleged that Roy allegedly failed to comply with the apex court’s order directing him to return the investors’ money. Sahara, once among India's high-profile firms, has in the past made several failed attempts to raise the bail money using its prized overseas hotels that include the Plaza in New York and Grosvenor House in London. Sahara says it has paid more than 80 percent of the dues to share-holders, but SEBI has disputed that and said the company has not paid more than Rs. 10,000 crores.